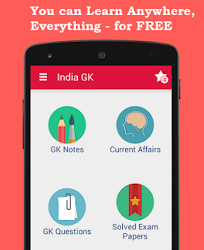 7th, 8th December 2017 Current Affairs MCQs, Quiz, Questions: Current Affairs for December 2017, Daily Multiple Choice Questions (MCQs) for India GK, World GK and current affairs with Collection of daily objective type Question by www.Indiagk.net based on General Knowledge (GK) and General Science (GS) Questions for UPSC, State PSC, SSC, Police exam, Railway exam, SBI, Bank PO, IBPC, SSC, LDC, UDC, Army, Airforce, Navy, Coast Guard, Bank Clerk, TET and all entrance examination with current affairs News, Multiple Choice Questions (MCQs) available on Website www.IndiaGK.net and Android Apps with daily updates:. Which film star will promote government's flagship agri-schemes? The US government has announced to recognise Jerusalem as the capital of ---- ? Which country Banned from 2018 Winter Olympics? Who inaugurated B R Ambedkar International Centre in Delhi? Who has been chosen for the 27th edition of Vyas Samman-2017? Which country becomes 42nd member of Wassenaar Arrangement?